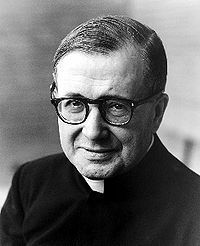 Today the Church celebrates the feast day of St. Josemaria Escriva de Balaguer, founder of Opus Dei. He has written several books. The only one I’ve read is Christ Passing by, and I highlighted about every line. I thought I might share a few of his wonderful words here. St. Irenaeus: "To follow the light is to enjoy the light"
The other reading from that same Office (from Exodus) and the three psalms that went along with the readings shared the theme of God’s saving his people from the desert and into his holy land. One psalm recounted the plagues. Irenaeus’ point is an encouraging one: even here on this side of heaven, even here in our own little worlds, even here in the plague-infested realities of pestilence or locust or something even worse, Light breaks in and summons us to something better. Reminds me of the name of this blog. Ours is an always unfolding, always unfinished, always unplanned, always not fully understood, always divine yet human…journey into Light. 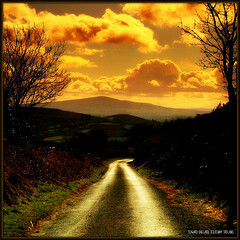 So long as we’ve started and take a step every day, we’ll come to enjoy the light-filled road to Light. 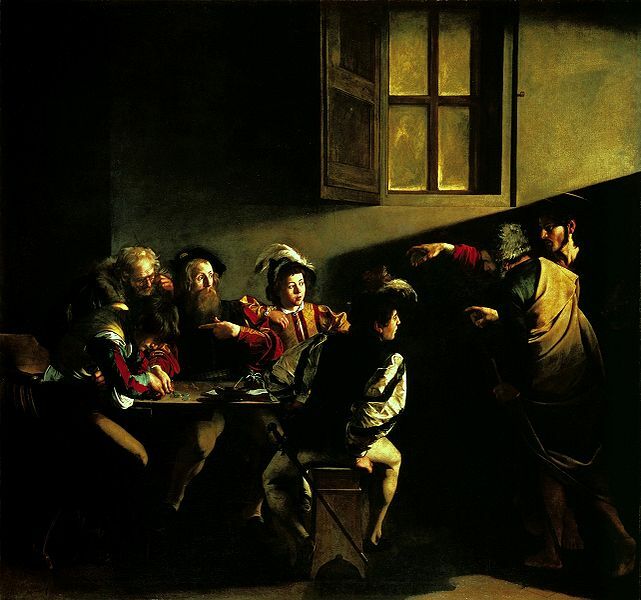 There he was, St. Matthew, lost in his dark and haunted counting house. 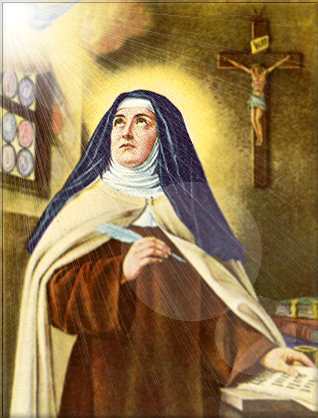 Today is the feast day of St Teresa of Avila, doctor of the Church. In her Life, she outlines in chapters 27-31 (and elsewhere, of course) the results of good contemplative prayer, which is of course a gift when it comes (though we can do certain things to better open ourselves to that gift. we can come to “pay no attention to the scarecrows the devils set up” (L, 31.10). I write this list because I think this should give me great impetus to work on prayer, and all of us. St Teresa is really one of the great experts on this from our tradition and so it’s nice to look at her words here. Her images—the jewels, the arrows, the married couple that understands each other just by a glace—these are powerful. What a wonderful thing good prayer is. How do we get to this king of prayer? Much of Teresa’s corpus is dedicated to answering that question, of course, but I wonder if it might all boil down to this: we must surrender to God first. Her words are better: “Reflect that it is indeed certain that God gives Himself in this way to those who give up all for Him” (L, 27.12). St. Teresa of Avila: pray for us. St. Teresa of Avila wrote a few works, and for one of my classes we are reading all but her Foundations. The Church is in a particularly interesting place. Historically, it has always been very much a part of society and culture. Those who are in the Church then, or perhaps who are the Church, are in an interesting spot: we are in the world, as the saying goes, but we cannot be of the world. Priests in particular, or “captains” as the terminology used to go. This text comes from The Way of Perfection. [Priests] are the persons who must strengthen people who are weak, and encourage the little ones. A fine state this would would be in—soldiers without captains! These persons must live among men, deal with men, live in palaces, and even sometimes outwardly behave as such men do. Do you think, my daughters, that little is required for them to deal with the world, live in the world, engage in its business, and, as I said, resemble it in its conversation, while interiorly remaining its strangers, its enemies; in sum, not being men but angels? … So, then, do not think that little help from God is necessary for this great battle these preachers and theologians are fighting… (P, 3.3). I can think of no better example right now that Cardinal Dolan. "Thrice happy they who can then look out to the never-ending future with calm and confidence"
Today the Church celebrates the feast day of St. Mother Theodore Guerin, first Indiana saint and patroness of the Archdiocese of Indianapolis. She grew up in France and knew many trials there–for example, the death of her father, the trials of poor health…But she knew she had a vocation and so she followed it. Once a nun, after a few years she was asked to leave all she knew and come to the US, to a place called Indiana. There she founded the Saint Mary of the Woods community, which still remains active today. Let’s keep those sisters in prayer today. There aren’t too many of the SP’s in our schools anymore, but time was they were all over. Their legacy is an important one here. St. Theodora taught by her life that Providence does not fail. There’s a good lesson to remember. Nothing troubled the charm and silence of this solitude. Making the most serious reflections on what we behold, and on our present position, I said to myself: Thus does life also pass away, now calm, now agitated, but at last the end is attained. Happy, ah, thrice happy they who can then look out to the never-ending future with calm and confidence, who can cast themselves on the bosom of God, the Center of our felicity. Because "there is nobody to make them Christians"
Today is the feast day of St. Francis Xavier, patron saint of the Archdiocese of Indianapolis. St. Francis’ live is an inspiration to those who desire the salvation of souls, for his life deals a lot with evangelization. Indifference is one of the greatest evils. 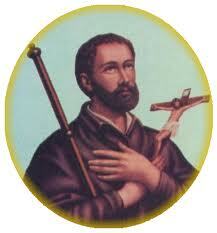 The world needs folks like St. Francis Xavier to shake people up a bit. St. Francis Xavier went where God called him. He traveled all over, from India to Japan to China and a lot of other places. And wherever he went he carried the Gospel with him. There were challenges, but done from love.